On September 28, 2012 USCIS extended a couple of important programs that were set to expire this year. In particular, USCIS extended the E-verify system until September 30, 2015. The E-verify system is a partnership system between USCIS and Social Security for allowing employers to electronically verify employment eligibility for its employees. There are more than 402,000 participating employers around the US currently using the e-verify system. The system has been called by many critics, including immigration lawyers, as very tedious and difficult to navigate. Some of the complaints have been that making the slightest mistake or oversight could lead to violations and a lot of grief for employers. Its a great concept and hopefully the users are becoming more trained and the Regulators will provide more notice and allow for substantial compliance. Also extended was the EB-5 Immigrant Investor Pilot Program. The EB5 system overall has been very successful and beneficial to many investors around the world. As a Chicago Immigration Lawyer and a concerned American about the US economy, more investing immigration opportunities should be made available. It brings investment to the US and provides opportunities for people around the world that would like to share the American dream. The investment directly or indirectly creates jobs in the US. We applaud the extension of this program until 2015 and hope for its permanent enactment into the Immigration system. Maybe some day we’ll have more categories beyond EB1 through EB5 as recently there has been talk about an EB6 Green Card for STEM (Science Technology Math Engineering) Ph.D workers. 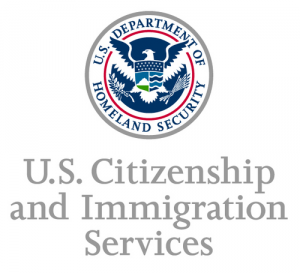 USCIS has also extended the EB4 Religious worker green card program until 2015. We applaud this decision as well. It is unlikely there will be any significant immigration reform developments for the rest of 2012 due to the upcoming November elections. We can only hope that some of the promises we are hearing from both sides of the aisle will be implemented. Time will tell. ← Proposed Bills to Reduce the Employment Based Green Card Backlog: Is It Election Related or For Real?